Ideal for multi use such as wheels, door shuts and engine bay. 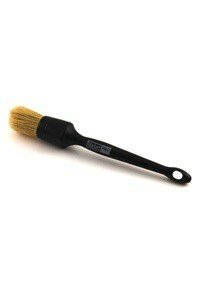 Soft boars hair bristle based brush. Commonly used to agitate wheels and around decals and badges. It also gets used around engine bays too. The soft bristle ensures gentle agitation on delicate surfaces.